‘Unfinished business’ is a feature of many people’s lives, taking a variety of forms and with a range of accompanying meanings and emotions. Yet it’s not often that we are encouraged to sit back and think about how ‘unfinished business’ is made, and the trajectories that it is a part of. There are, after all, many things that could have been labelled ‘unfinished business’, but which were deemed not important enough to be pursued, or seemed somehow ‘finished’. The opportunities and openings of ‘unfinished business’ therefore are markers of priorities, interpretation and sometimes active creation. Last June, I co-organized an event that made time for crafting such openings. We found ourselves with space in the lovely Lake District, and thought it would be fun to use it in order to think about some of the unfinished business within social theories of practice. In order to stimulate discussion, we had each participant write a 2-3 page ‘mini-manifesto’ about the unfinished business that they would like to see pursued in the next decade. Having no idea how people would take up this request, it came as a pleasant surprise that the finished compilation coalesced around similar themes and concerns. Some of the papers focused upon substantive issues linked to energy and the DEMAND Centre research program, while others thought about how theories of practice can engage with questions of the large-scale, power, linkages, temporalities, the future, and policy. Their provocatively short format provided an excellent starting point for more detailed conversations about not only how our interests intersected, but also key divergences. With a few walks and shared meals to further stoke conversation, we all emerged energized by the feeling that there is still much exciting work to be done. Working in an academic context, and indeed many others, it is easy to become frustrated by unfinished things because of external pressures to finish them. This event, however, was a reminder of the importance of lingering with, meditating upon and playfully provoking what yet remains unfinished. The ‘mini-manifestos’ from the event, including one in which I ask a lot of questions inspired by the symbol [≠], are now available as working papers from the DEMAND Centre website, and we are working on plans to follow up with further writing in the future. Every time I’m involved in producing a public event or exhibition, I end up learning an immense amount. Sometimes I learn seemingly small things from the people who attend – details about their lives and experiences that build upon and refocus my research interests. Sometimes I learn important things during the process – for instance how translating between academic writing, press releases, news articles, and posters aimed at a public audience can be immensely challenging and immensely rewarding due to their distinct communities, positioning, and perspectives. Sometimes I come to reflect upon the idea of ‘impact’ and ‘engagement’ more generally, and how this rhetoric can both distract from and support the fragments of conversation and new thoughts that might somewhere, someday, contribute to transformations in society. The interactive public exhibition I produced last week, alongside Elizabeth Shove and the DEMAND Centre, was no exception. It was entitled ‘Heating, cooling, lighting: what is energy for?’ and was presented as part of Lancaster University’s ‘Campus in the City’ in St. Nicholas’ Arcades, Lancaster. While it is always hard to capture traces of these kinds of events, I have collated some of the digital ones on the DEMAND website and on Storify. If you’d like to know more, feel free to get in touch. I can’t help but think about how this can be true not only on an individual level, but also on a social one. Too often it seems the advice and solutions we hear from managers and lobbyists and policymakers seems to speak as much or more about their challenges as those of others. In part this may be because we just understand so little about the problems of others, either not appreciating their complexity or not having time to learn more. How can we build up a culture where advice given in our own image and with our own concerns foregrounded is minimized? How can we build up a culture where complex problems are acceptable and complex solutions are expected? To anyone following recent discussions about the UK’s energy sector, it might seem the nation is entirely lighting-obsessed. When announcing the deal that paved the way for a new nuclear power station at Hinkley Point, the energy secretary, Ed Davey, explained that it was “essential to keep the lights on”, echoing earlier claims that energy reforms will “keep the lights on and emissions down”. Meanwhile, Ed Miliband’s announcement last month that a Labour government would freeze gas and electricity bills led energy companies to warn that “they might not be able to keep the lights on”. Why is the rhetoric of “keeping the lights on” so important and why is lighting such a compelling and such a persistent point of reference? Part of the answer has to do with what happens should the lights actually go out. As those cut off in the wake of the St Jude’s Day storm will be only too aware, blackouts are immensely disruptive. Even small-scale interruptions demonstrate how dependent our society has become on a reliable electricity supply. In this context, regular or prolonged outages would indicate that the government had failed to maintain basic standards of living. Files released this summer show that during the miners’ strikes in the early 1980s Margaret Thatcher contemplated using the military to help keep the lights on: a plan that clearly signalled the symbolic and actual significance of power. Then, as now, talk about the importance of keeping the lights on provides a chilling reminder to governments of how vulnerable they are when faced with a total breakdown of energy generation and supply. But in the present context, the rhetoric of “keeping the lights on” is as misleading as it is compelling. Though there are billions of lights in the UK’s homes and in places of work and recreation, these are never on all at the same time. Many are off for a large part of the day and in any case lighting does not account for a very high percentage of energy use. Lighting is undoubtedly useful, but for some people it’s not the lights but the internet and communication systems that really need to be on. In corporate talk, the phrase has been adopted to highlight the percentage of a company’s expenditure spent on keeping its information technology infrastructure running – the blinking lights of networking equipment, rather than overhead lights. This dependence runs deep: in the aftermath of hurricane Sandy in 2012, people walked miles to charge their phones – an indication of how thoroughly such communication devices had been embedded in their daily lives. Reference to dramatic instances in which all power is lost obscures the fact that the real discussion is not about power cuts, nor is it about the lights alone. Instead, the critical questions –- questions that this “lights on” rhetoric systematically avoids -– are to do with energy demand: what is energy for, how do energy demands arise and how do they change? These ought to be central concerns for energy policy, especially given the challenge of meeting CO2 emissions targets, yet the “keeping the lights on” mantra perpetuates an unquestioned reliance upon electric power, reinforcing the view that energy consumption is non-negotiable and that it lies outside and not within the frame of legitimate policy debate. In effect, the phrase has come to symbolise a right to unlimited power; it suggests that as a nation there is no end to what we can consume. There is no such thing as an unlimited energy supply. At every level, from the individual home to the grid itself, cables and infrastructures are sized and managed with certain patterns of demand in mind. Behind the scenes, the need for power is, and always has been, a topic of ongoing negotiation. Instead of blindly insisting on the importance of keeping the lights on (and all that the phrase stands for) the real political challenge is to bring questions of demand into view. This is not just a matter of technological efficiency. What is needed is a fundamental debate about how much energy is enough, what does it mean to establish ways of living that call for much less power than we use today, and just how many lights could or should be kept on? Allison Hui and the DEMAND Centre receives funding from the RCUK Energy Programme and EDF as part of the R&D ECLEER Programme. Michael Gove’s proposal to allow all schools in England to set their own holidays is part of a bill aimed at removing “unnecessary burdens” and regulations. But removing some burdens could create others. Some potential complications such changes might present for schools and for families have already been discussed, but there are other unintended consequences. Our particular interest is in energy. The link is not initially obvious, but it is clear that what people do, and when they do it, is important for determining peaks and troughs of energy demand. No one buys gas, electricity or petrol just for the fun of it; they are used for providing power and heat at home, getting to school or to work, and so on. How and when people use these resources, whether they do so at the same time as others, and how they are distributed throughout the year is of direct significance for total energy demand. Changing the length, timing, or coordination of school holidays would have a big impact on the ways in which daily lives are scheduled, and hence on the timing of when energy is used. For one, travel patterns and the school run could be affected. If families with children at several different schools find that their holidays fall during different periods, the journey to school, with its consequences for fuel use and carbon emissions, might have to be extended to cover more days of the year. Potentially such changes could break up familiar patterns of traffic congestion around the school run, sometimes reducing traffic, or potentially making it worse. Either way, peaks and levels of transport-related energy demand are likely to shift as families adapt to new holiday periods. Also consider the energy used in heating and running buildings occupied at different times of the day and year. Currently the longest school holiday period is during the summer, when energy demands are lower. During the Christmas break it’s colder, but the energy burden of keeping warm during the day is shifted from the school (or workplace) to the home. In theory, schools could change the timing and duration of holidays so as to reduce the need for energy intensive heating or lighting – for example by making winter and Easter breaks considerably longer and extending the summer term. Children out of school are generally at home, so this strategy would shift costs from schools to parents. It’s obvious what this would mean for those who pay the bills, but it’s not clear what such a change would mean for total energy consumption. Collective heating systems – as in a school – would more efficiently keep lots of children warm, using less total energy than required to heat and light many private homes through the day. Then again, those homes are already heated for part of the day; extending this by a few more hours (and not heating the country’s schools at all) might entail less energy consumption in total. It would be interesting to see some careful working out of the implications of education policy for energy demand. Somewhat similar calculations have been made in an effort to quantify the energy consequences of putting the clocks back and of thereby shifting patterns of activity into hours of darkness (or light). This is something of an exception. More commonly, little or no attention is paid to the impact that non-energy policies have on the temporal and spatial patterning of daily life, and hence on the energy demands – and carbon emissions – that follow. One way or another, the proposal to de-synchronise school holidays is sure to have tangible, but unintended and unanticipated consequences for energy demand. And yet despite this there is no systematic attempt to think about how this, or indeed any other, non-energy policy affects the extent and timing of energy demand. When I came across this piece in The Atlantic last month, it struck a wonderful chord. In it, Joe Fassler talks to writer Edwidge Danticat about the links between immigration and creativity. One of Danticat’s favourite books is Patricia Engel’s It’s Not Love, It’s Just Paris, which discusses how for immigrants, life is a work of art. In moving to a new country, immigrants face situations that require a creativity and resolve that is seen most often in creative arts, and which can implicitly teach their children about the value of these endeavors. While I haven’t read Engel’s book, the sentiment certainly corroborates many of the discussions I had with Hong Kong return migrants. Even when people didn’t speak explicitly about art, their experiences moving to another country, and even returning to their home country, demanded transformation, a remaking of everyday life, and a sense of humor. 1. Steal ideas from the locals – though you will re-work them as you do so, it is helpful to build on what others already have discovered about your new context. 2. “Don’t wait until you know who you are to get started” – this one applies to immigrants as it does to artists. Life in a new place is hard, but it keeps going whether you know how you fit in or not. 3. Make the life you want to live – it’s hard to live exactly as you did before, or as the locals do, so why not make the life you want for yourself in your new context. 8. “Be nice (the world is a small town)” – especially now with the internet and social media, keeping connected is easier than ever, so even what immigrants do in other countries can make it back to the ears and eyes of their families elsewhere! While the parallel starts to show its weaknesses when you try to push it further like this, I still appreciate the way that picturing immigrants as artists frames them as key actors in the transformation of their lives. So much discussion of immigrant adaptation is about fitting in and therefore highlights normal practices in the larger population. As I’ve seen in my research though, when people immigrate their experience is much more about creative adaptations to new ways of living. In my work I’ve used creative methods to get at some of these adaptations, but I think there is much more that can be done in this vein. As a next step though, I’ll have to go and pick up Engel’s book. It’s always an exciting moment to see your words make it into print. Though there are always things you would have changed with hindsight, it is also rewarding to know that finally your thoughts, and the experiences others generously shared with you, can move on to begin a discussion with readers. In that spirit, here are a few sentences from my latest paper, which can be found on the publisher’s site for those with university subscriptions. While it is an academic paper, for anyone who is not connected to a university but remains interested, there is also a limited number of free downloads available at this link. Ever since I discovered Maria Popova’s wonderful Brain Pickings site, I have had a lot more reminders regarding how to cultivate creativity. Two that I have particularly enjoyed are on Graham Wallas’ four stages of creativity and John Cleese talking about five factors to make your life more creative. Though creativity is more often an explicit concern for those in the arts than those in the social sciences, all research is ultimately creative. Aspiring to produce creative engagements is not something that should be discipline-specific. So I try to build in time to periodically ponder creativity… and watching John Cleese was a great way to do it. You can’t steal a gift… and if you can hear it you can have it. Part of the value of podcasting then is that it can’t be controlled, and as such it can become mobile more easily. This gives the medium a political potential for “bootlegging though and insight” as Back suggests, as students take others’ voices for a walk and can perhaps as a result engage differently. Given the fact that prominent researchers like Doreen Massey have discussed how their own ideas often germinate while walking, I think there is considerable potential in this portability of academic voices. One project that has been exploring this potential is Phillip Vannini and Jonathan Taggart’s recent project on off-grid lifestyles in Canada. While touring the country and speaking with people about their off-grid lives, the pair have been producing short soundbites on their very interesting soundcloud stream. Some are curated around topics like how and why people live off grid, but others just present snippets of participant’s voices: talking about how they deal with an excess of hot water or about a stove that they love. I think these soundbites are exciting because they not only provide a glimpse into people’s lives that is much more vibrant and immediate than what is often available through writing, but they also quite valuably eliminate the filter that can appear and cut public audiences off from academic research. The voices are a gift – perhaps the beginning of a conversation, or even a way to bootleg skills of self-sustainability. Regardless, I think Vannini and Taggart show that there are a lot of possibilities for exploring these audio engagements. I can’t wait to discover more examples of how people are already giving and receiving through sound-based research and research-based sound. As part of the project I am currently wrapping up on the everyday lives and objects of Hong Kong return migrants, Kelly Li and I decided to experiment with modes of communication that are less familiar to us. After getting hooked on several excellent podcasts in the last few years (including This American Life and Radio Lab), I became curious about the possibilities of a pared-down podcast format for disseminating social science research. While I had previously been part of interview- and advice-based podcasts, I thought there might be space for something shorter and more evocative. That is, rather than presenting expert opinions, I was interested in how podcast formats could be conducive to short musings that help to generate questions and new lines of thought. With this in mind, we decided to jump in and give something a try to see how it would work. This is certainly an experiment, and we don’t have the resources or time that more professional podcasters do. But we thought it would be worthwhile to try the format out and see whether it might spark new interactions around our work. The result? 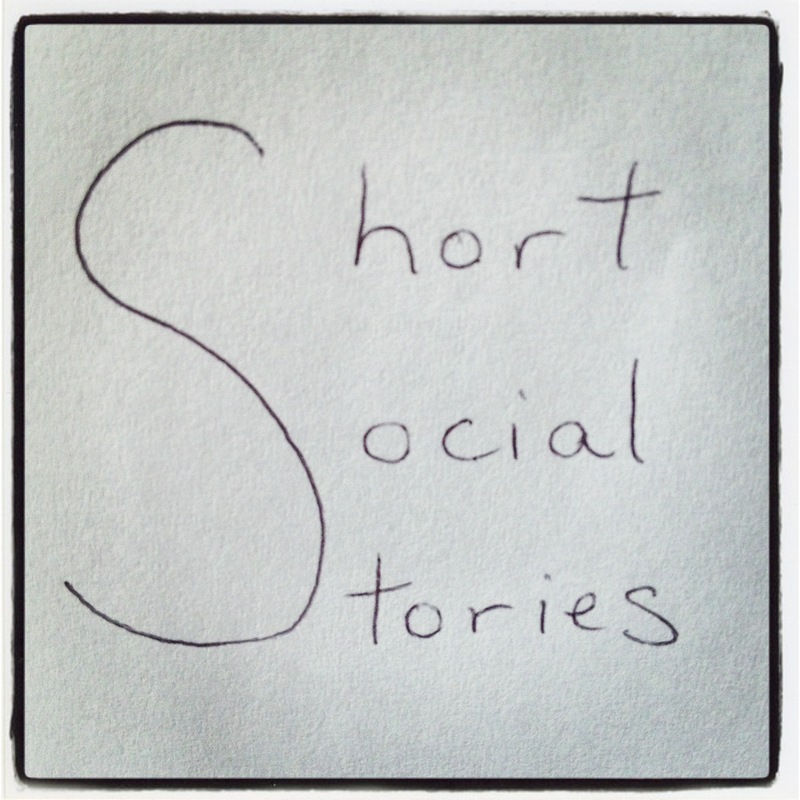 Something I have decided to call ‘Short Social Stories’. Each episode is a think-piece about five minutes long that tries to encourage curiosity about parts of everyday life that we often don’t pay attention to. The first three offerings highlight thoughts arising from our project on Hong Kong migrants and the objects that they migrate with. If these go well, there is space to expand into other topics and even have other people join in. After exploring different options for hosting, I decided to go with Soundcloud and thus far I haven’t been disappointed. While this platform is more known for its music-related community, I think the presentation of sound files as waveforms where you can comment on a specific part of the track has a great number of possibilities for public/academic interactions. So far I’ve made use of it by including any direct quotations in the comments, to ensure that due credit is given to other authors and our participants. But I can see the potential for further interaction as well – both questions and comments could be linked to specific parts of the dialogue in a way that isn’t possible on some other hosting sites. In any case, if you have time please take a listen and let us know what you think. As I say, this is an experiment, and any feedback and constructive criticism about how it works or whether it’s interesting to you would be much appreciated!